When you run so fast to get somewhere, you miss the fun of getting there. 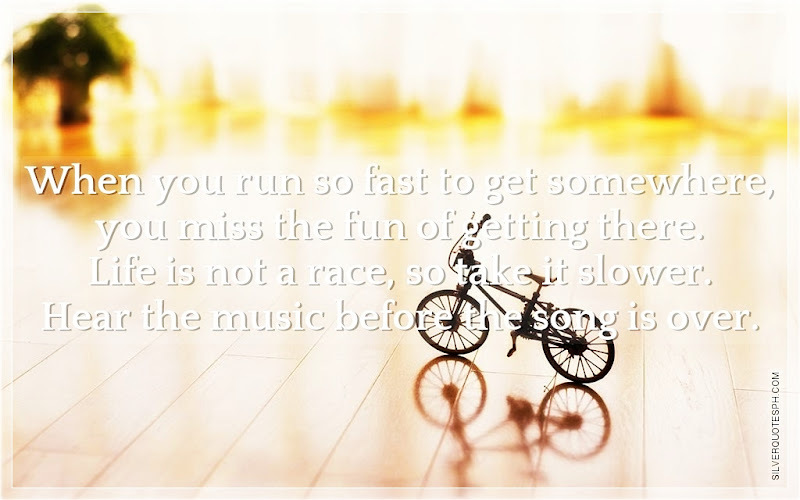 Life is not a race, so take it slower. Hear the music before the song is over.